What is Reggio Emilia-inspired documentation? 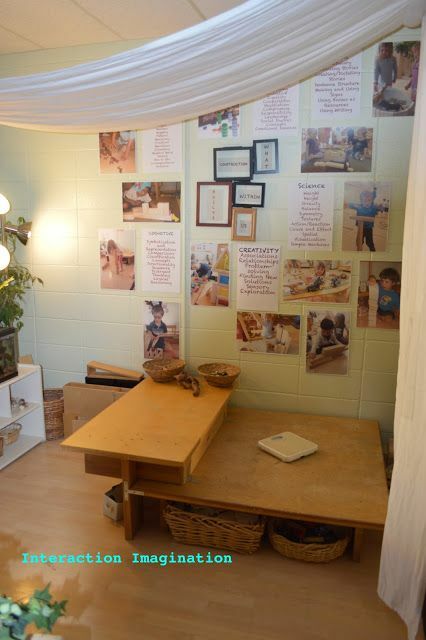 Reggio Emilia documentation has the potential to serve many purposes during the children’s learning experience. When defining documentation, we must think of it as a process, an action, a verb, “a systematic act of collecting, interpreting and reflecting on concrete traces of learning” (Gambetti) By centering our attention on children’s learning, documentation can serve as a valuable teaching, research and assessment tool. Looking at how children think and learn and how ideas evolve is not the only focus of Reggio documentation, but it is a central focus. One of the primary features of documentation as practiced in Reggio Emilia is a focus on how and what children learn. Documentation typically includes samples of the children’s work, photographs of the children engaged in the project work, and comments and transcripts of conversations. 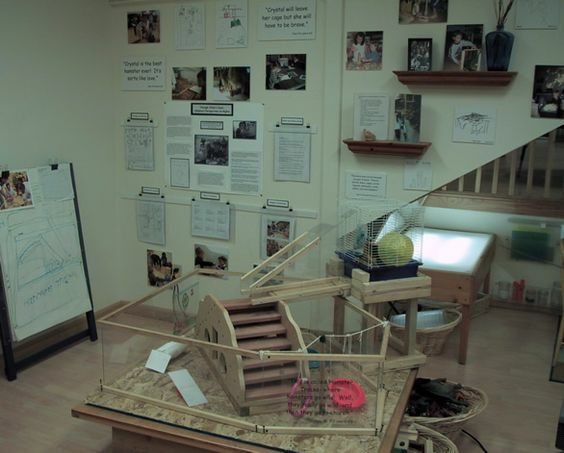 Examples of the children’s work and reflections on processes can be displayed in the classrooms. The documents highlight how the children planned, carried out, and completed their work. Documentation not only allows us to make-visible the learning of group and individual learning, but can promote learning within the group. When students learning is documented, children can re-visit and interpret their learning experiences and how to develop these experiences further. Making learning visible through documentation provides educators information about children’s learning and progress that may not be evident in formal assessments, checklists and standardized tests. Documentation can contribute to the depth of children’s learning from their projects and other work experiences. Loris Malaguzzi points out, through documentation children “become even more curious, interested, and confident as they contemplate the meaning of what they have achieved” (Malaguzzi, 1993). By preparing and displaying evidence of the children’s learning experiences, the children can re-visit their experience and work which may bring new understandings and more in depth thinking, questioning and dialogue. Documentation of children’s ideas, thoughts and feelings are a great way to stimulate memories of experiences. Sharing documented work at school with parents is great way for parents to participate in their child’s learning in a more intimate way. 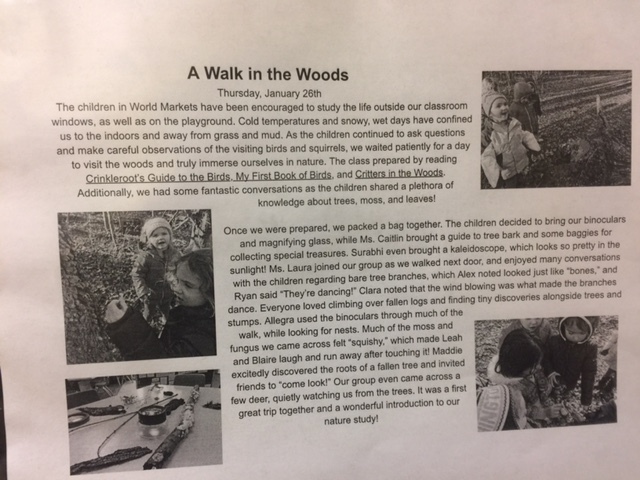 Documentation also allows for the parents to understand the work and learning that their child is engaged in and think about ways they can contribute to the work in a thoughtful way. 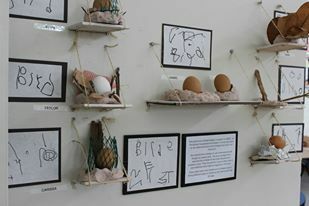 By displaying the children’s work, efforts, ideas and learning in a beautiful and respectful way supports our value in children to be capable, thoughtful, and creative. Taking children’s ideas and work seriously conveys to children that their efforts, intentions and ideas are taken seriously. Children will also take their work seriously which encourages them to work in a responsible, joyful and dedicated way. The learning process and results will be more satisfying for them if their learning process is recognized, appreciated and displayed in a respectful manner. Teachers use documentation to continuously plan based on evidence in documentation as work progresses. Teachers use the documentation to discuss ideas and thoughts and new possibilities with the children during their work. Planning decisions can be made based on what individual or groups of children have found interesting, stimulating, or challenging. The documentation provides ongoing planning and evaluation that can be done by the team of adults who work with the children. Documentation focuses on children’s experiences, memories, thoughts and ideas during their work. Documentation should be interesting rather than decorative, serious not cute, engaging not entertaining. Documentation is the opportunity to showcase the children’s learning. Documentation gives the history of the learning in the classroom. Visible documentation should be present to reflect work currently in process. 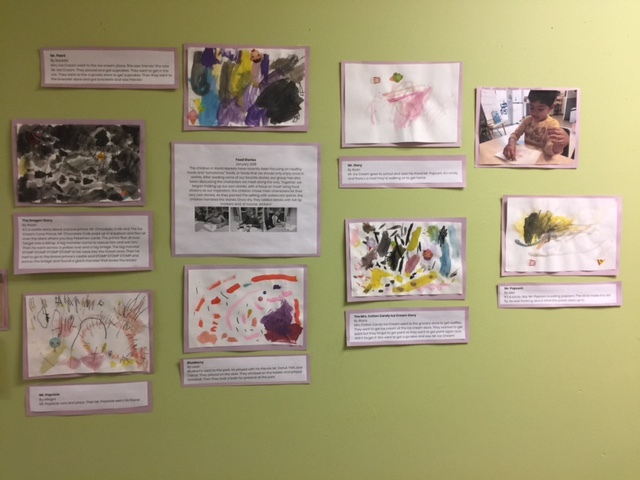 Focus of documentation on displaying the creativity and thinking of children as it happens, as opposed to viewing documentation as a finished product. 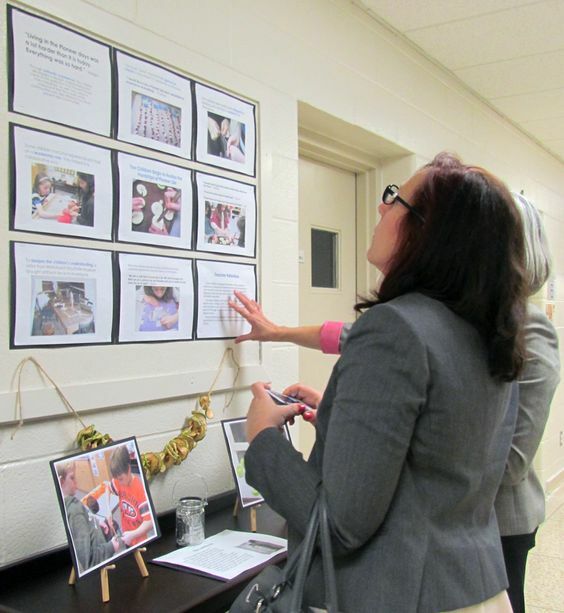 Displayed photos should capture expression and engagement and represent important events. Documentation should represent more work done by fewer children, rather than less work done by more children (i.e. displaying 10 or 20 of the same thing is discouraged). Documentation should often include samples of the children’s work at several stages of completion. Documentation reveals how the children planned, carried out, and completed the displayed work. Documentation makes possible for others to become aware of the children’s experiences in the classroom. Schedule your personal tour to learn more about how The Compass School can use documentation to enhance your child’s learning! We’d love to hear from you! Windows on Learning, Documenting Young Children’s Work; Helm, Beneke, Steinheimer, 2007. Visible Learners; Krechevsky, Mandrill, Rivard, Wilson; 2013. The Contribution of Documentation to the Quality of Early Childhood Education; Katz, Chard, 1996.